Sitting proud on mostly level land and facing north east, you will be impressed with the landscaped gardens of this lovely family home. The air-conditioned main bedroom captures the morning sun and overlooks suburban Carindale. 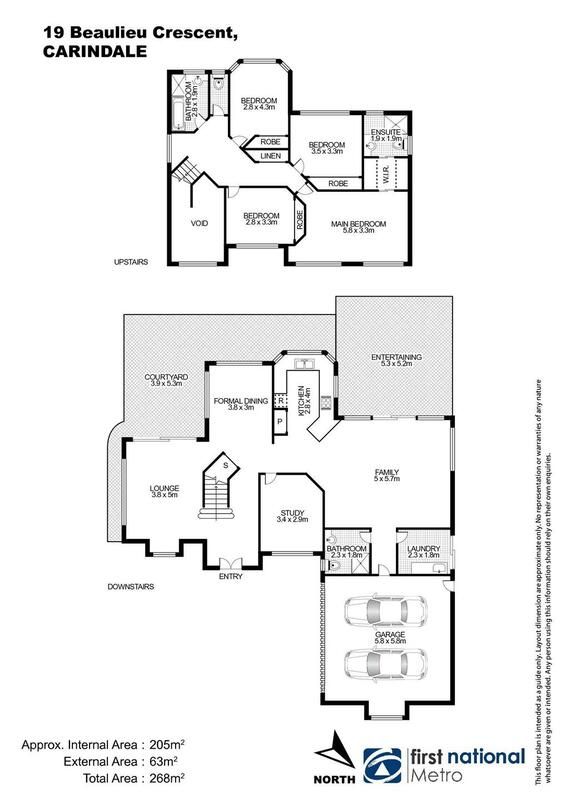 Three other large bedrooms with built – ins grace the upper level. A wide sweeping staircase leads down to a well-lit study, formal lounge with sliding doors opening to both front and rear gardens and a formal dining room. The kitchen has new appliances including plumbed in fridge, gas cook top, and the family room is fully tiled. Large laundry opens directly to courtyard with garden shed. The air-conditioned family room opens onto a covered patio overlooking the large level, freshly turfed and secure rear yard. 5000L water tank is installed, to save those water bills. Easy access for your vehicles to the double garage, with electric doors, with room for 3 more cars on the property. Walk around the corner to Pacific Golf Club and parkland from this very peaceful location.